But I just wasn’t quite ready to share the recipe because I needed to make sure it wasn’t just “water weight” and since I am not a health nutritionist, I felt a little hesitant… that being said, I ended up losing 8 pounds in just 2 weeks with those smoothies and people are still waiting so I thought I could finally say it does work and no it’s not water weight! Plus they taste really good and are easy to throw together, AND they are made with things you already have in your pantry (no crazy trip to any expensive health food stores… another win in my book). Since I do several different kinds, I plan on doing a series with different recipes and here is your first! I will include the exact instructions I used to lose those 8 pounds. This was one of the first recipes we created. The following will actually make 2 servings. In order to track consumption and calories better we use this food scale since it is inexpensive and measures in kilograms, pounds, grams and ounces. Divide all of the ingredients equally in half and blend in a blender. The Nutri-Bullet is what we use and it is great for this because it makes just the right amount for your serving. Plus the motor is strong and has a good bit of blending power and can be easily stored away. 3. 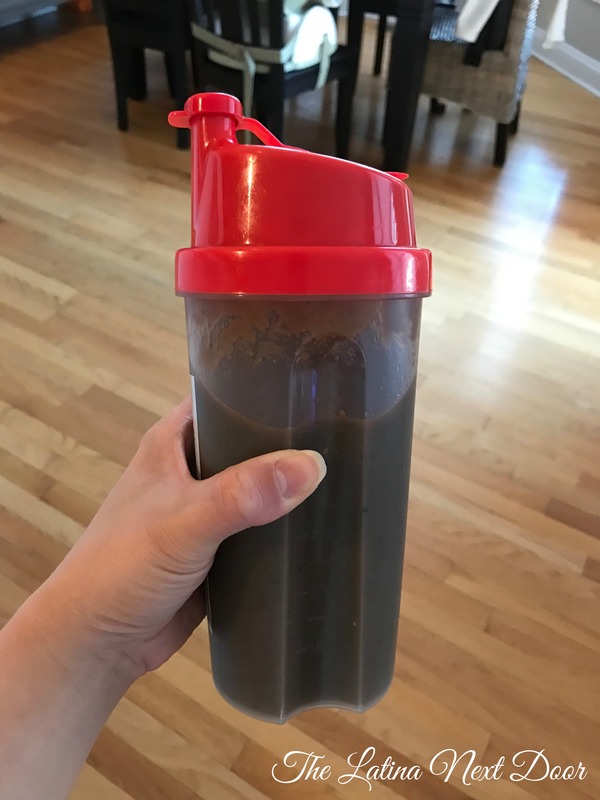 Store in a 28 oz blender bottle: they are large enough and the mixer ball breaks up the detox smoothies as you drink, in case it thickens overnight if you prepare them for the following day, which is what we do. I like the one below and it comes in many different colors. 4. Drink the detox smoothie as a replacement meal for your breakfast and lunch. If you get hungry in between meals, eat a handful of almonds or 1 hard boiled egg to hold you over. Then eat dinner as normal, just a smaller portion than you normally would cause you don’t want to overeat and you want to get your stomach used to less food in it. By replacing my breakfast and lunch for 2 weeks straight I lost 8 pounds, didn’t get cranky because of the agave and my days were actually more productive because I already had made my detox smoothies the night before so I saved time by not having to prepare any meals. Blackberries – Their dark blue color ensures that blackberries have one of the highest antioxidant levels of all fruit according to this article. Antioxidants are also known for lowering the risk of some cancers. Blueberries – They aid in weight loss because they are low in calories and rank low on the on the glycemic index. What does this mean? This means they take longer to digest which means they are absorbed slower by your body, which in turn helps cut cravings. More on that here. Strawberries – They are full vitamins, fiber, and even more antioxidants. They are sodium free, have no fat and no cholesterol. Read more about them here. Spinach – It is abundant in flavonoids which act as antioxidants to keep cholesterol from oxidizing in your body. It also contributes to your colon’s health and lowers blood pressure. 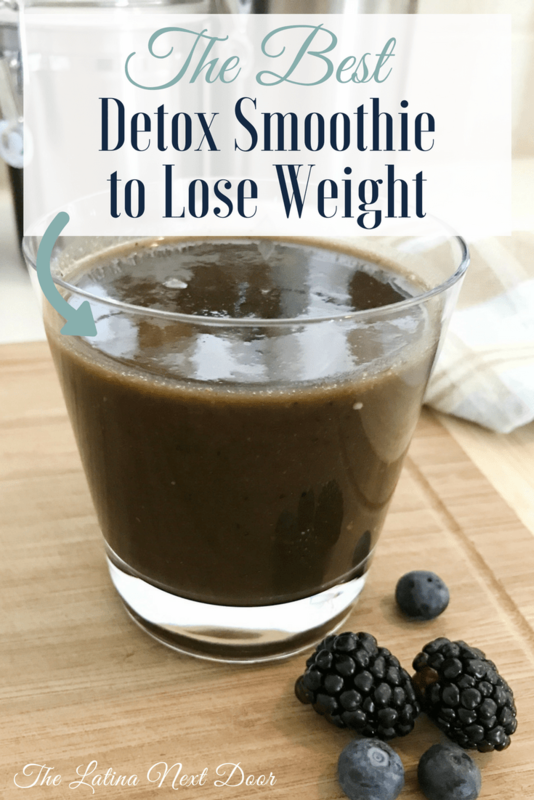 If you try this detox smoothie out, I would love to know what you think! Also, I would love it if you shared it with your friends! Just pin it to Pinterest! Cheers to losing those extra pounds! And don’t forget to subscribe below so you can be notified when the new smoothies are added to the blog! 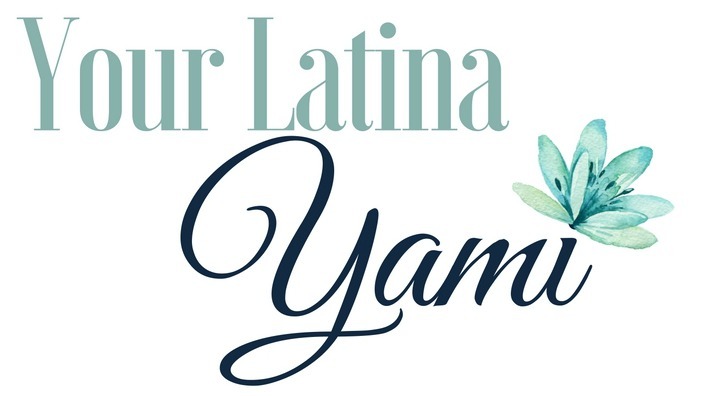 Hi Yami!!! Happy Easter! !..and I will most definitely try the recipe. I am kinda far from you geographically—NJ suburb of Phila. I have been using juice recipes for awhile—I use the other juicer, begins with a “v” and I still get hives over the price tag, but it was a gift from my husband & we usually don’t give personal gifts( married a long time, college tuition) but I was interested mostly because I’m currently getting dental implants( I’m a little older than you, lol) but am grateful I have that option. During recovery, always happy to have as many options as possible. So thanks–weight loss is always a plus! I remember awhile back you doing a fitness challenge and you were really showing progress, how did that go? I always appreciate how grounded you are, so no worries if it was hard to follow through—-it’s life & I do remember how hard/important it is to raise young kids,but I was curious…..
Marianne! It is so good to hear from you!!!! It has been a while…. Happy Easter to you as well! <3 We too have a juicer at home, and we will be using it to make natural apple juice this year since we finally figured out how to take care of our apple trees properly, oops! 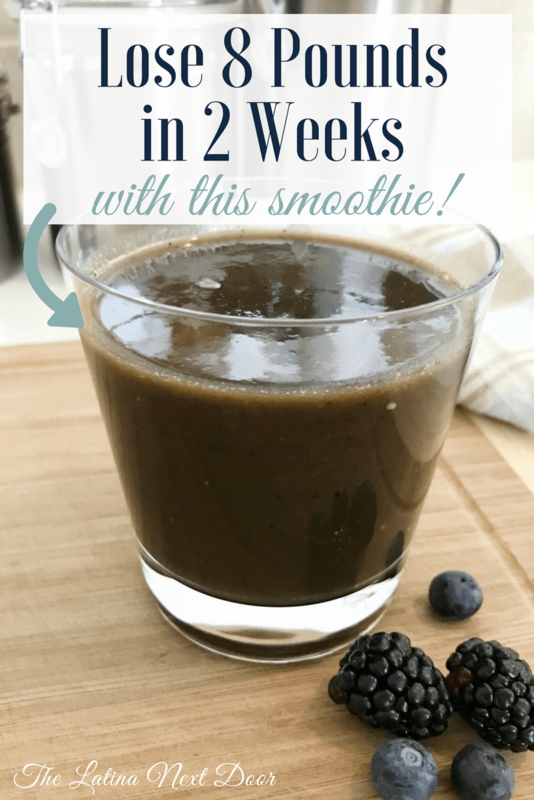 My husband did the "juicing" thing for a while, but it was too tough for my digestive system. This works a little better for me since it is full of pulp and makes me feel full. The challenge went well, however, late last year, my entire family became extremely ill with viruses for over a month and I had several infections and even bronchitis, as a result they put me on steroids and I lost my progress. I am better now and have already lost half of the weight I gained as a result of my medication. I don't ever want steroids again! Bleh! These smoothies were to jump start my metabolism and weight loss again and they did the job! Good luck with your dental implants and I wish you a quick and easy recovery! It's always good to hear from you! They really are tasty which is great and I would have never thought they would work so well in helping me lose weight, so I’m glad my hubby makes them for me! Looks wonderful! I love the convenience of smoothies. Me too! If I need to go out, I just take it with me! I will be picking this up, and will give this a try. Thank you so much for sharing this. You rock! I am happy I found your recipe, because I want to lose some weight. I will be getting these items so I can start drinking this smoothie. Thank you! I am Glad I found this Recipe . This Smoothie Looks really Tasty. 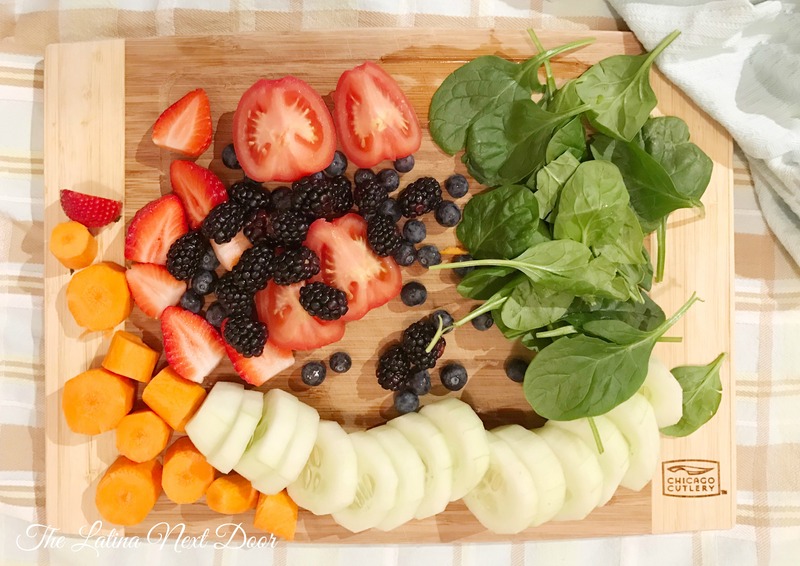 I love to see new smoothie recipes! I think It will work so well In case of loosing Weights.